Last month, I spoke with more than 1,400 employees who were afraid that the culture at their company, which had been carefully cultivated for years, was about to change. Like many companies who are part – or become part – of an enterprise parent company, this is a very real fear. In fact, when I showed those same employees a slide of the parent company’s cultural behaviors, there were both similarities and differences between our two lists. But these were just words on a page. And, in this context, words don’t matter. Culture is much more than a few key phrases and messaging. All of us have likely seen words like “respect”, “safety”, “integrity” and others along a similar vein on corporate culture initiatives. These behaviors or values sound great. And yet, many enterprise companies create environments where individuals are disrespected, are complacent with safety, and question integrity despite honorable actions. Hollow values wreak havoc on culture because words do not mean that behavior follows. Culture cannot be handed down from a black and white list; it must be local, it must be authentic. Personally, I am passionate about culture and my passion is transparent and heartfelt. I share it freely with employees in order to help shepherd culture from the ground up and foster an understanding that behavior influences individual success and company success. This concept is grounded in respect: listening completely, being present at every interaction, speaking clearly and truthfully, providing direct feedback with kindness and always being courteous. Following these values as a manager or leader can be seen as as soft, unmeasured management. This couldn’t be further from the truth – and the data shows it. At Insitu, where I serve as Chief People Officer, we have a Glassdoor rating of 4.0 out of 5 with a 90 percent “Recommend to a Friend” rating and a 94 percent “Approve of CEO” rating. This is just a small piece of how data plays a part in telling a company’s story and helping to guide actions. We use targeted employee surveys (like the Gallup Q12 Employee Engagement) to zero-in on problem issues, as well as celebrate and proliferate the examples of outstanding results. By designing and building our own custom continuous feedback app, with an external engagement partner, we’ve taken this kind of measurement and its influence on culture seriously. We couple this new technology by staffing an ethics reporting line and rigorously encouraging its use. We want feedback to make sure that cultural goals and mutual respect are permeating our organization and we want to be nimble enough to shift if they are not. Continuous feedback allows us to do this. The disruption of a carefully crafted culture by a parent company is not a sure thing. By clearly defining the behaviors that are important to an organization underneath the words from an enterprise parent, you can help to maintain culture. 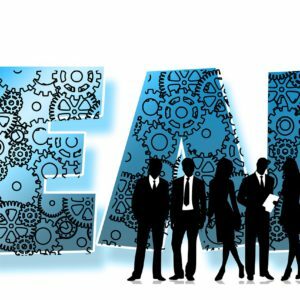 The words that matter are the ones that leadership and staff aspire to every day at work and these aspirations can be driven by open communication avenues. If you are lucky, the words defining culture between organizations will have many parallels. 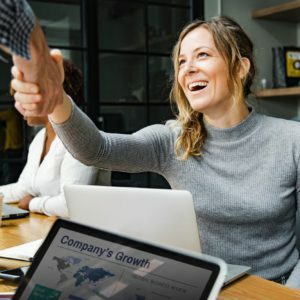 If you are good at communicating internally, then communicating externally is just as important – so that others (including a parent company, client or partner) can see the good in what you are doing. Lead by example. Your words matter when they are turned to action, especially when it positively bolsters cultural objectives.